Note: The Body Shop products will be dispatched within a period of 7-9 working days from the date of your order confirmed. Our Moringa takes on a fresh new form. Spray this light scented body mist all over your body for a gentle burst of delicate florals. Its irresistible. Explore the entire range of Body Mist/Spray available on Nykaa. 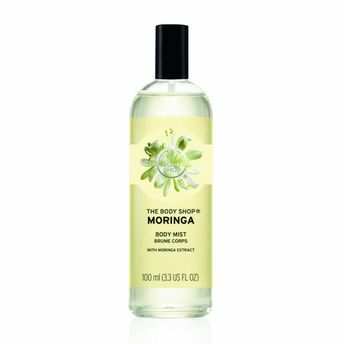 Shop more The Body Shop products here.You can browse through the complete world of The Body Shop Body Mist/Spray .